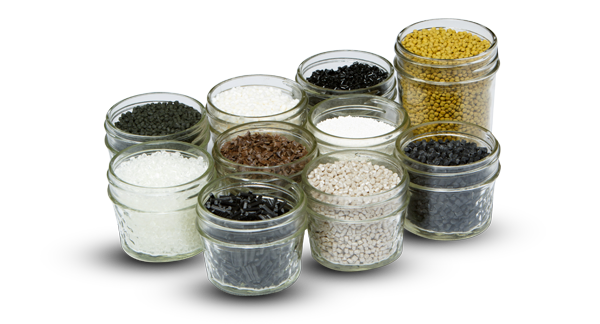 Torlon® polyamide-imide is recognized as the highest performance thermoplastic that is still melt processible. Torlon can be extruded into shapes and injection molded into custom geometries. With a 500°F heat distortion temperature (softening temperature) and a 500°F continuous service temperature, Torlon offers unmatched strength at elevated temperatures. It is stronger at 400°F than other engineering resins at room temperature. 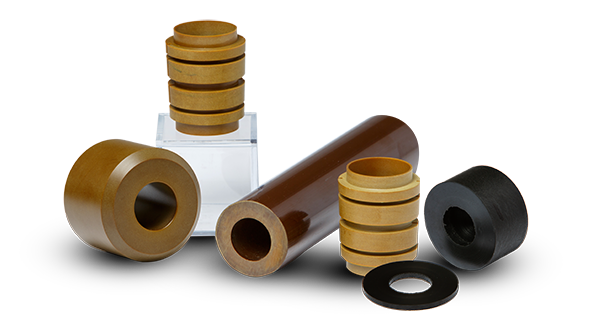 Torlon is also tougher and more impact resistant at cryogenic temperatures than other high strength polymers. Its exceptional properties are the result of being transformed from a thermoplastic to a cross-linked thermoset during an extended curing process*. Glass-reinforced and carbon fiber reinforced grades offer even greater stiffness plus enhanced thermal expansion properties.The wear grades offer unmatched performance over a wide range of temperature and PV conditions. Torlon polyamide-imide is virtually unaffected by aliphatic and aromatic hydrocarbons, chlorinated and fluorinated hydrocarbons and most acids at moderate temperatures. It may be attacked by saturated steam, strong bases and some high-temperature acids. *Drake Plastics cures all Torlon products prior to shipment. Gears, rollers, plasma chamber hardware, wafer contact fixtures. Electrical insulators, thermal isolators, valve seats seals, cams, gears, poppets and ball bearings. Electrical insulators, burn-in/test sockets, valve seats, fasteners and activation balls. High-temperature thermal/electrical insulators, burn-in/test sockets, valve seats, fasteners and activation balls. Mechanical linkages, rollers, labyrinth seals, impellors, valve plates, vanes, back-up seal rings. High load Bearings, thrust washers, wear pads, seals, bushings, valve seats. Higher Speed Bearings & Bushings, Bearing Cages, Piston Rings. Sliding Vanes, thrust washers and bobbins, piston seal rings. Bearing applications requiring the lowest possible wear rate. Transmission & Gearbox Seal Rings and Thrust washers.